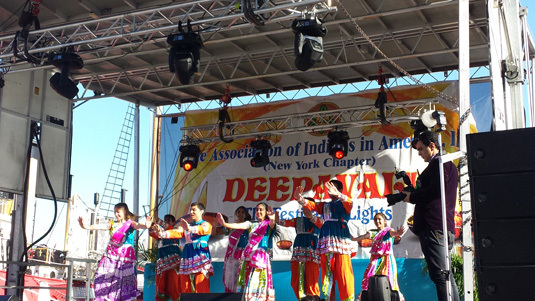 New York City steel giants were hit hard with the moves of dandiya raas as the city of LED lights was transformed into the city of diyas. 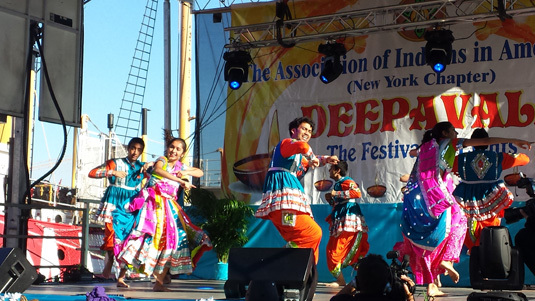 In preparation for India’s largest holiday, The Association of Indians in America (AIA) hosted the 9th Annual Deepavali Mela at Pier 17, South Street Seaport. 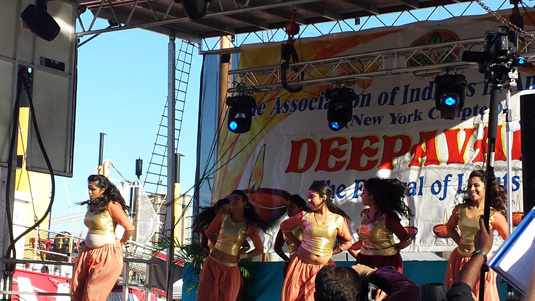 The event consisted of savory India cuisine, dandiya & raas along with an intercollegiate dance competition. Dance teams from prestigious colleges in the tri-state area participated in the event. Performances were put together by Columbia Raas, Stony Brook Bhangra, Adelphi University, City Tech Chahat and Drexel University. In addition to that, the grand sponsor of the event – Star Network – held their Lucky Star Contest yet again. The contest enables two lucky stars to be flown to India to be a part of their favorite show on Star Plus. Previously, winners have appeared on Pyaar Ka Dard Hai and Saath Nibhana Saathiya among other shows. The night commenced with exquisite fireworks leaving the audience yearning for more the following year.